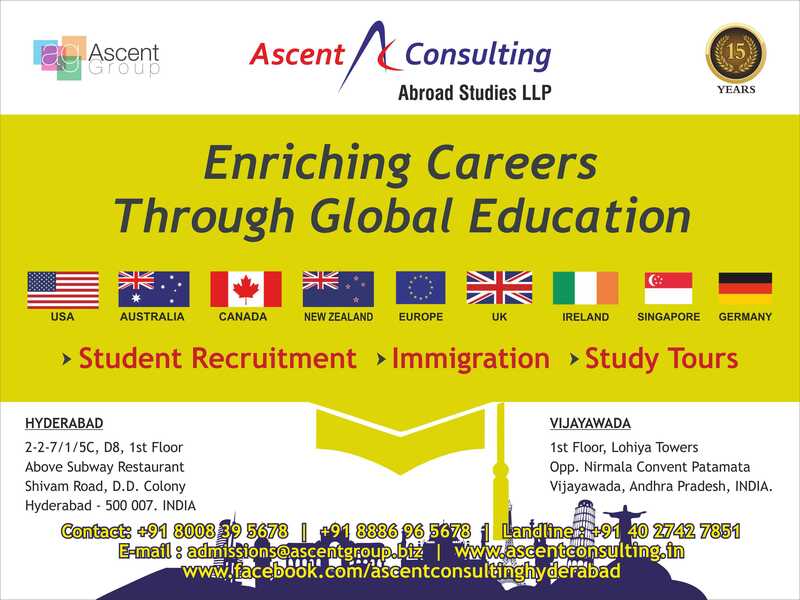 ⁠Ascent Consulting Abroad Studies LLP is an institution provides its best educational service in overseas education. Admissions open for UK May 2019 where the course offered with internship are in university of Bedfordshire without IELTS. ⁠⁠Ascent Consulting Abroad Studies LLP offers best counselling for overseas education. Admissions open for UK May 2019 for Northumbria university, Newcastle without IELTS. Ascent Consulting Abroad Studies LLP is an institution provides its best educational service in overseas education. Admissions open for UK May 2019 where the course offered with internship are in university of west London without IELTS with 26 months of visa.